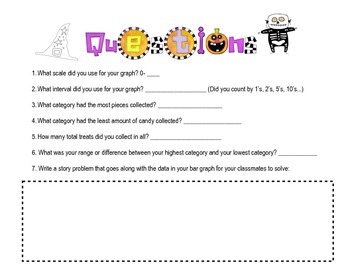 Have students use their math skills in a practical way by having them graph their candy haul from Halloween night. 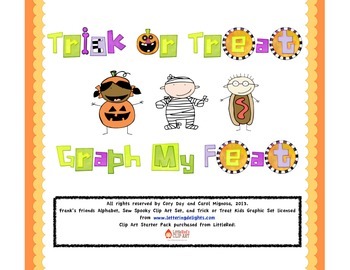 A bar graph template with set categories allows students to collect data and record results from Trick or Treating. There are also questions to go along with it and students can make up their own word problem. Happy Halloween!